We have already talked about the typical structure of a business letter and inquiries. 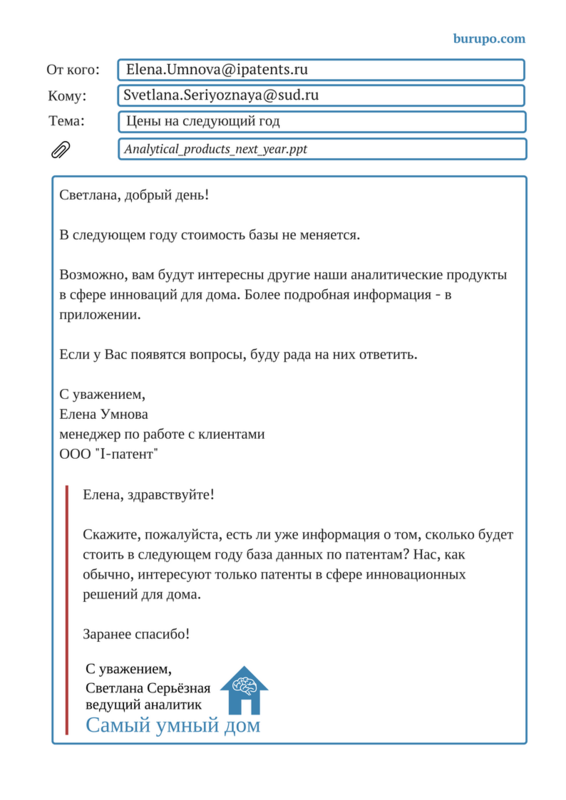 It is time to write an inquiry response in Russian. As usual, we will go through several examples of business letters (more and less formal) and note some useful clichés. You have received an offer or inquiry, and now you need to reply to it, even if you are going to reject that proposal or have other bad news for your addressee. Not responding is not polite, so you may lose a potential customer or partner in future, hurt your company’s reputation. Here are several examples to help you to design your letter. 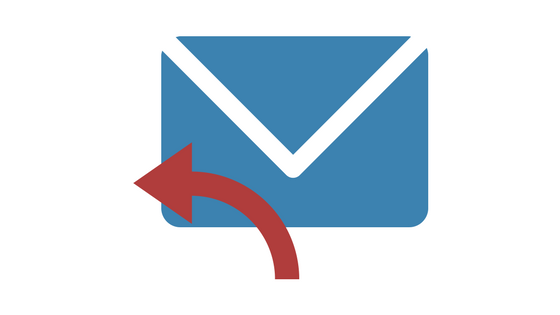 Quite often there is even no need to write a long formal letter, especially email. Replying to a casual inquiry, you will also use less formal phrases. But don’t forget, that if your addressee is older or have a higher position, probably, it is better to write in a bit more formal way. в рамках (чего?) в рамках нашей бизнес-модели, в рамках соглашения о сотрудничестве, в рамках договора между нашими компаниями. 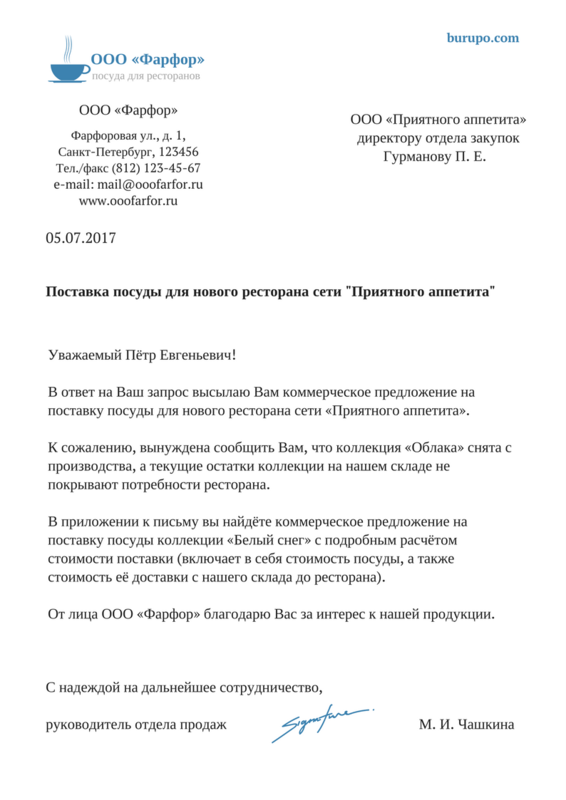 От лица ООО «Фарфор» благодарю Вас за интерес к нашей продукции. 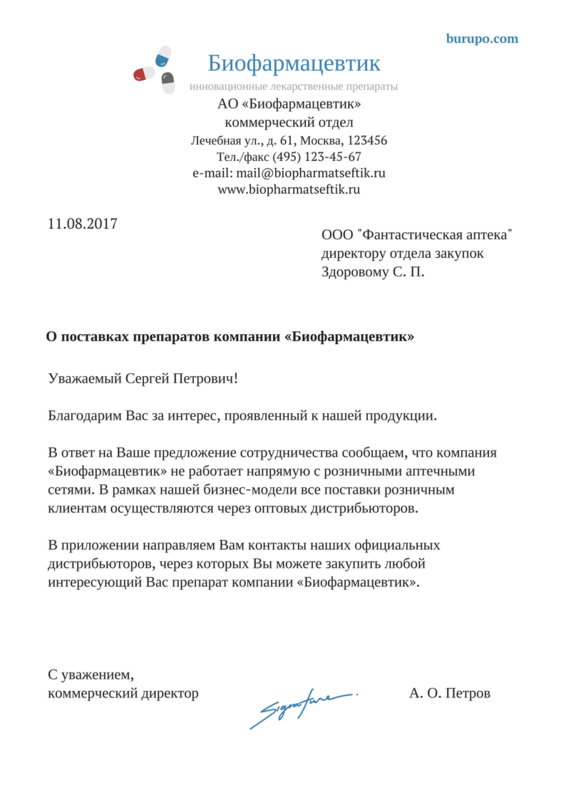 Если у Вас появятся вопросы, буду рада на них ответить.